The day after Christmas 1997 is a day that Liz Kehr shudders to remember. Kehr and her husband, Kevin Feist, live in the Flathead Valley in northwestern Montana, snug against Glacier National Park. It’s a place where publicly owned land stretches for miles in all directions, though in the past 10 years the valley has boomed with more and more people moving in. Flathead County swelled from 59,218 people in 1990, to an estimated 71,707 in 1997. It’s an outdoor community where many people enjoy hunting and fishing, cross-country skiing, snowmobiling – and trapping. Kehr chokes up when she recalls Dec. 26, 1997, an overcast day with snow threatening and everything washed in the gray of a northwestern Montana winter. Kehr was out for a little afternoon skiing, a chance to burn off some holiday sloth and exercise her two dogs. She chose the Trail Creek road, which is often impassable to even four-wheel drive vehicles but still sees heavy use from snowmobilers and cross-country skiers. Near Kalispell, the road is on public land – the Flathead National Forest. With her were Tara and Buddy, the family’s two mutts. A year before, Buddy, a good-natured dog with a seemingly perpetual grin, had come to Kevin and Liz’s house, a stray looking for a home. “It was like he picked us,” remembers Kehr. The dog had come across some raw chicken parts in a white bucket. At the mouth of the bucket was a Conibear 220, a steel trap designed primarily to catch and kill beaver, otter and raccoon. Buddy had gone for the chicken and gotten the trap. When new, a Conibear 220 exerts an impressive 90 pounds of pressure per square inch. It can break a human hand, and it is designed to quickly kill whatever it catches. It is among a family of so-called humane traps that dispatch an animal rather than hold it by a foot or leg. It also requires some knowledge to use. Springs line the sides of the trap and must be squeezed in order to release or unspring the trap. It usually takes a strong person using both hands to squeeze each spring. If you know how to open it, you have between three and eight minutes to save an animal from suffocation. This was the contraption that Kehr was faced with, a trap she had never seen or even heard of. A high-pitched scream came from Buddy as the Conibear clamped around his throat. Her other dog barked frantically, running in circles. Kehr wrenched off her skis and threw aside her ski poles, screaming for help. She struggled to figure out how to release Buddy as the dog thrashed in pain. Kehr is a small woman, barely five foot three. Bob and Laurie Muth were neighbors out for an afternoon ski. Bob helped pry Buddy out of the trap. “But he was gone,” says Kehr. “I’ve never seen anything as traumatic as this girl trying to raise the dog from the trap,” Bob Muth later told a local newspaper. But is there a “need to trap’? No, say a half-dozen animal-rights groups around the country. “We’re not going to rest until body-gripping traps are banned from all of the states,” says Wayne Pacelle, vice president of the Washington, D.C.-based Humane Society of the United States. With 6.7 million members, the Humane Society is the largest animal protection group in the world. It is in the 1990s that animal-rights groups have made significant inroads in the fight to ban commercial and recreational trapping. 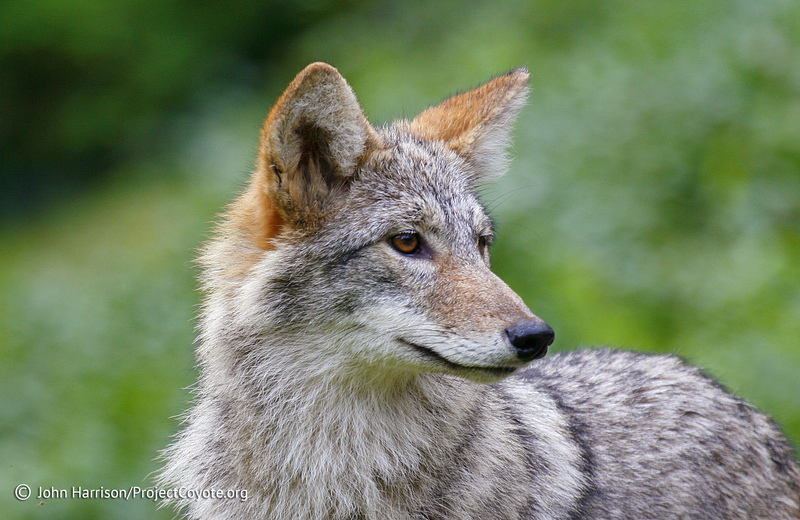 In 1992, voters in Arizona were asked to vote on Proposition 200, which proposed a ban on leghold, instant kill, and snare traps on public lands. That measure was rejected, only to reappear in 1994 as Proposition 201. It passed. In 1996, voters in Colorado and Massachusetts approved similar laws that included both public and private lands. This spring, state lawmakers in Oregon are debating Senate Bill 599, which would prohibit the trapping of wildlife for recreation or commerce. Trapping is on its way out, maintains Pacelle. “We’re taking it to the next tier,” he says, noting that states such as Nevada, Washington and Maine could pass similar laws in the coming years. This entry was posted in News Feed and tagged bans, Conibear, leghold, trapping, traps by mes227. Bookmark the permalink.